The realisation of the importance of a good night’s sleep is catching on in business. About time too: it could provide a panacea for many of the problems that plague us today. The evidence is mounting for its role in mental health, longevity, brain function, and a well regulated metabolism and appetite. With one third of Britons affected by insomnia, a better understanding of sleep could open up much untapped opportunity for both individuals and employers. As adults we need seven to nine hours, way beyond what most of us get. And when we get them matters hugely (1). Our body works to a circadian rhythm, a 24-hour cycle based on the perception of light by our retina. Unlike most other mammals, we sleep in a single period, during which our body is geared to fasting. Our physiology works very differently depending on whether we’re awake or asleep, so any disturbance to this rhythm, whether it’s jet lag, shift work, or blue light from a screen late in the evening (2) can cause havoc. With many businesses now functioning 24hours, from supermarkets to call centres, around 3.6 million people in the UK work shifts most of the time (3). Studies consistently show an increased risk for type 2 diabetes for shift workers. Finally, even if sleep is short, it’s better to sleep uninterrupted if possible, or your mood will suffer (4). Why should you covet good sleep? Sleep plays an essential part in all aspects of our health, work performance and happiness. Not only does it provide essential maintenance and repair time for body and brain, it also recharges nerve energy, allows the body to detoxify, and keeps the immune system strong so you’re far less likely to succumb to colds and flu. When it comes to metabolism and weight control, it could be the place to start, before beating yourself up about a lack of willpower. Losing sleep makes us produce more of a chemical that amplifies our sense of (guilty) pleasure from sweet or salty, high-fat snack foods (5). Cue the 11am raid on the vending machine. We also know that just a single night of sleep deprivation can speed up biological ageing (6). And what about performance at work? Good sleep simply helps you think better. It’s during deep sleep, also known as slow wave sleep, that we consolidate our neural connections, reinforcing memory and learning. Sleep won’t just raise your IQ though, it will also boost your EQ. You don’t have to be a scientist to know that a bad night’s sleep can make you grumpy. Sleep deprivation actually makes us lose our sense of proportion so that everything seems important, and the result can be anxiety and depression (7). For employers, more education about sleep could pay serious dividends. Poor sleep is linked to compulsive social media checking (8). It makes sense: you’re tired, easily distracted and Facebook doesn’t present a big mental effort. Across hundreds or thousands of employees, the hidden costs could be significant. 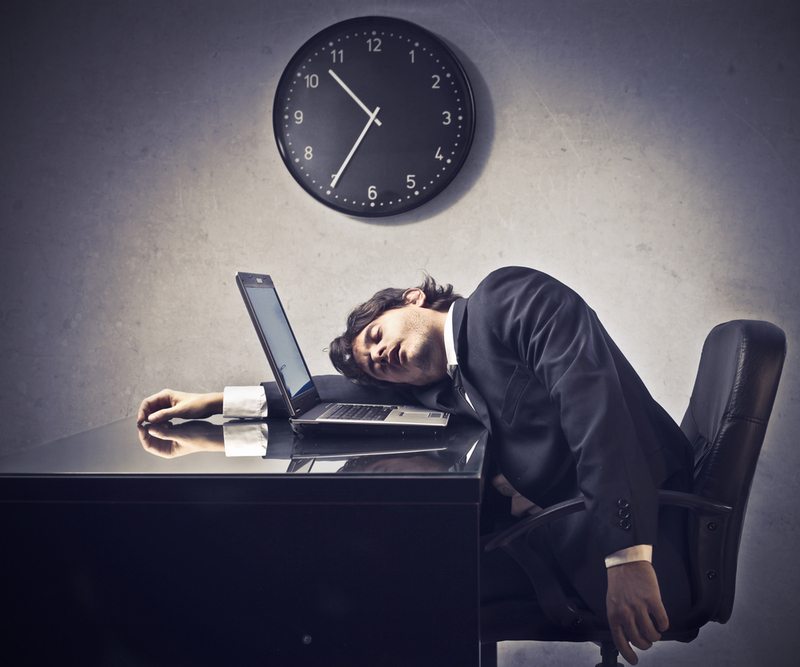 In certain industries, sleep deprivation can compromise safety. One survey by the American Academy of Sleep Medicine (9) showed that lack of sleep made it harder for airport baggage screeners to detect unusual items, potentially posing a threat to airlines and passengers. • Playing catch up at the weekend does help: a couple of lie-ins can counteract the increased risk of diabetes associated with poor sleep during the work week11. • Don’t turn on a bright light if you have to get up during the night as it will affect your circadian rhythm. Did you like this piece? Why not read our interview with Arianna Huffington about why we should give sleep the respect it deserves.